I think most of us have made our own cards at some point, even if it was only as a small child at school. Making a card in itself isn’t difficult, but I think most people struggle with making something they are really happy with. So here are some of my top tips to help you improve. I think cards are one of the easiest ways to start expressing your creativity, so why not have a go? If you like these butterfly cards, check them out in my online shop! 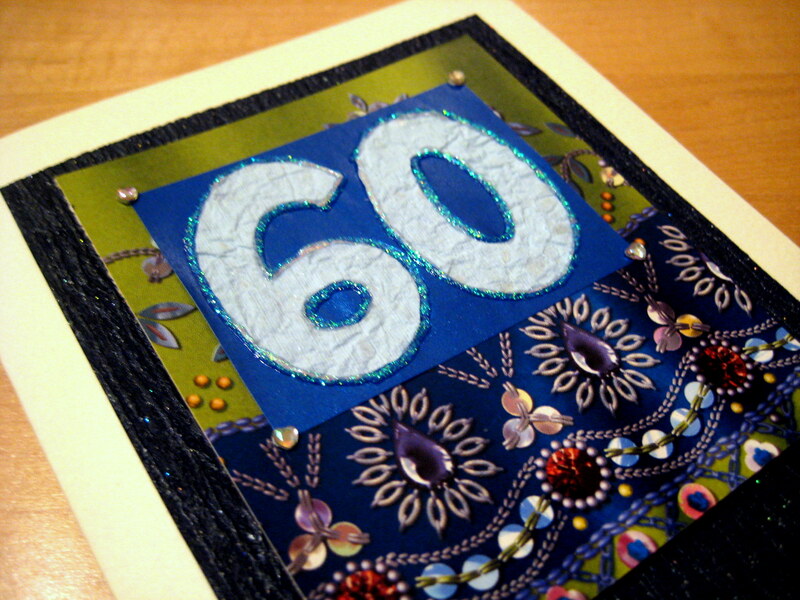 Glue/Adhesive: Nothing makes a card look cheap like peeling off paper or missing embellishments. So invest in good quality glue sticks and if you are using vellum buy the right tape to stick it with so it doesn’t show through. A guillotine: Sounds scary, but this is just a device for cutting straight edges with. It really does make your work look more professional! Having a range of materials gives you lots of options. Think outside the box – literally! Some of my card is saved from boxes of chocolates, scraps of wallpaper, and ribbons snipped from clothing. Again there are some items really worth investing in; these are usually the “basics”. 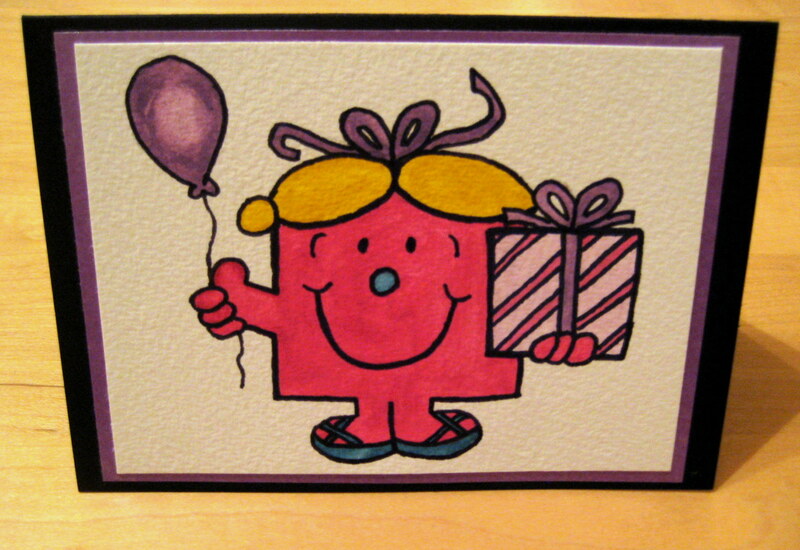 Buy card blanks which are at least 240gsm thick with matching envelopes, and do buy coloured plain papers. 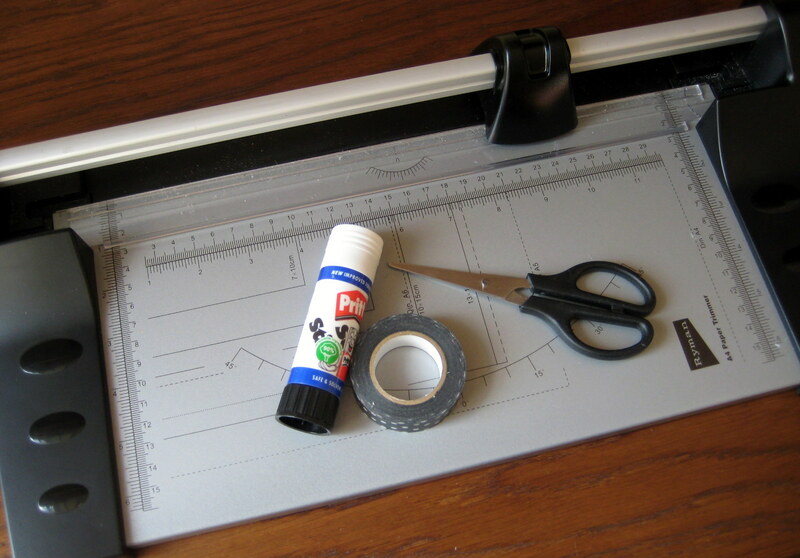 Here’s a tip for using fabric: glue your fabric onto a piece of plain white paper using a glue stick. Then cut to fit. The paper makes the fabric stiff (easier to cut) and because it is glued the edges won’t fray. Then glue the reverse of the paper to the card. My cards tend to be either picture focussed or using layers to create interest and finished with an embellishment or text. 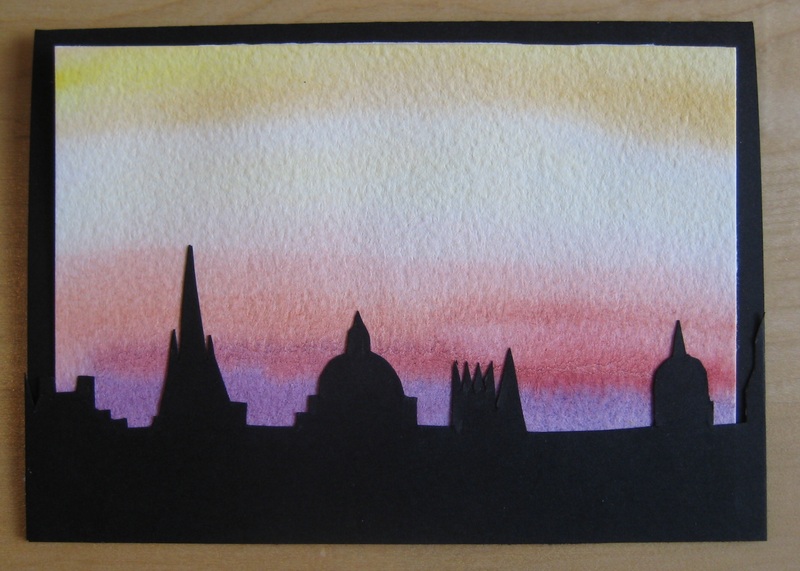 This skyline card and Little Miss card were both inspired by pictures I wanted to create, which I painted myself. The card was a way of mounting the pictures. If you have an idea for a small painting or drawing, my top tips are to use good quality paper and to use a larger piece of paper than you need and cut to fit after. For a layered card, I start by selecting either a printed paper or an embellishment such as these butterfly stickers and go from there. Then I pull out papers from my stash which tie in to the colours or contrast. I usually go for stacking plain, printed, and metallic or pearlescent papers to add interest. Then I play around with the layout till it looks good! You can think about adding ribbons and buttons and such too. Remember though, less is more, and if it doesn’t make it look better, don’t add it for the sake of it! It takes effort to get your storage organised but it is so much easier to see your things once you have, it really does cut down on the length of time it takes to make a card. If you are making a lot of cards it is essential! I like to keep my papers in a display book so that I can easily flick through and see what I have. I also use a toolbox with different compartments (mine are adjustable) to store embellishments, glue, and paint. 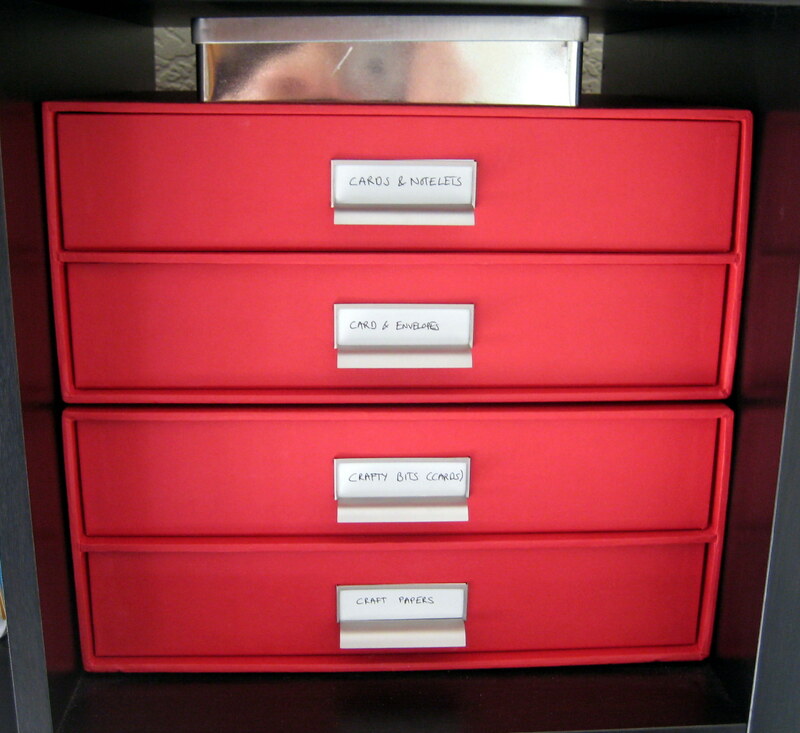 I recently acquired some A4 sized draws which are great for storing card blanks, my display books and finished cards. Why not let me know your best tips? Leave me a comment!